We are expanding specialized profiles! Freelancers in the Design and Creative category will soon have the opportunity to create a specialized profile to showcase their specific skill sets. This will be rolled out to all freelancers in this category over the coming weeks. We will be launching more categories within the next couple months and will update this post as they are launched, so stay tuned! Specialized profiles were originally announced in beta last year for freelancers in the Mobile Development category. To recap, specialized profiles allow freelancers to market and highlight their expertise in specific skill sets through separate profiles. On these profiles, freelancers can create tailored overviews, showcase relevant portfolio items, and market themselves at a rate applicable for that specific skill. 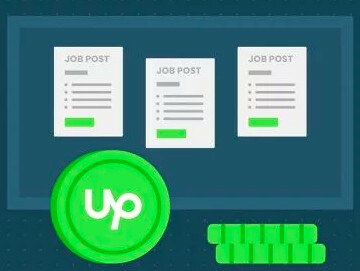 A freelancer’s current Upwork profile will remain as their general profile – nothing will change here. The specialized profiles appear as tabs on the general profile page. To create a specialized profile, freelancers will be prompted to follow a step-by-step wizard. They will be shown a list of skills to choose from – examples include: 3D Animation, Audio Production, and Scriptwriting. 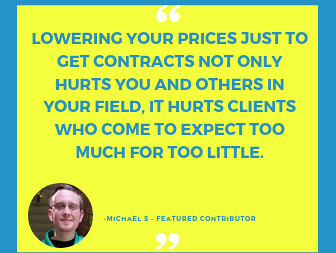 Freelancers can then create a distinct title and description, set a rate, and display Upwork contracts and portfolio items that are most relevant to that expertise. If a client is looking for a freelancer in a specific category, the relevant specialized profile will be the default profile shown in the client’s search results. When submitting a proposal for a job posted for that specialty, the relevant specialized profile will automatically be submitted with their proposal. Clients will still be able to view freelancers’ general profile tab. As we expand specialized profiles to additional categories, freelancers in those categories will receive an email (if they’ve opted into marketing emails) and see a pop-up when they login, notifying them of this feature and of how to complete their specialized profile. 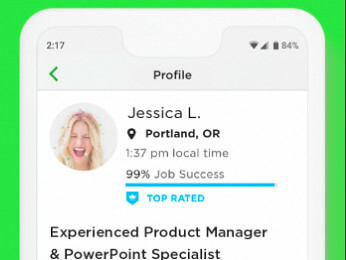 We’ve been in beta for awhile with freelancers in Mobile Development, and have seen positive results with job matching, as well as an increase in invitations for freelancers. That’s why we are excited to expand specialized profiles to additional categories over the next few months. For more information, check out this video where our Product Manager, Cary, introduces the new specialized profile experience. Let us know your feedback and if you have any questions. No options to use these features are available when I go to my profile page. When will it be fully implemented? And will there be any meaningful improvement in the category listings within "Design and Creative" to separate things like web and app design from illustration, book, ebook, print, or image design? These are all very different skill sets, but I get listings for sewing jobs in my feed as a print graphic designer, for pete's sake. This is being rolled out over the next couple weeks. When this is available, you will receive an email with more details along with prompts on your profile page. The Design and Creative category does include a diverse skillset, we understand that sewing jobs and graphic design are not similar There will be several different services to choose from when creating your specialized profile. The Design and Creative category alone has over 30 different services. Also, when searching for jobs in your feed, try refining your search with subcategories and skills. These tailored searches may provide you with listings more suited to your skills. That sounds great, a great benefit for our marketing for sure! Are there any criteria for creatives to be invited? For example - hours worked, number of projects, JSS... Just curious. Sorry about the delayed reply, Jelena. We are reviewing profiles that we are most confident could use a Design and Creative specialized profile. In the near future we’ll be opening up invitations more broadly. I'd love to know where you're getting that number. Below are the only options I see in search filters or in choosing subcategories. "Graphic Design" is just a catchall for everything from 3D rendering to embroidery designs to web sites to packaging. Beyond frustrating. I was referring to the number of specializations for the specialized profiles in the Design and Creative category. You can see the full list in our help article here. There are drop down questions at the bottom. Look under available profile specializations. And sure enough, now that this is live for me, there is no useful subcategory for what I do, which is Book Design. Print Design isn't even an option. "Graphic Design" is NOT a subcategory of "Graphics & Design." Please turn the pop-up message OFF on my profile page. It's humongous and I have no use for this. There is no way to opt out of this program, really? I still have the giant prompt showing up on my profile and it's in the way. How do I turn it OFF completely? It's now been over a month and my profile page is still hijacked by a gigantic, animated, ADVERTISEMENT for a completely useless "feature." How do I get this off my profile, permanently?